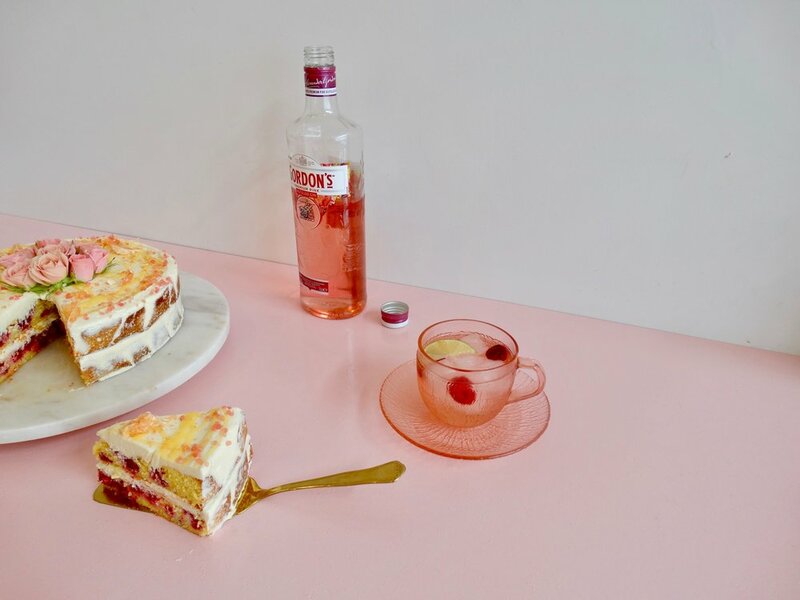 When Gordon’s sent me a bottle of their brand new Pink Gin, I knew I had to create a cake with it. It’s based on one of Gordon’s original recipes from the 1880s, but the 2018 version carries notes of raspberries, strawberries and red currants. Let’s face it - if an ingredient is alcoholic, berry inspired AND pink, I’m going to want to work with it. First though, I made myself a cocktail (yes, it was a Friday afternoon) based on one of my favourites - a Paloma Rosa. This is typically comprised of grapefruit, lime and tequila, but made with the Pink Gin it was perfection, and inspired me to use pink grapefruit in my cake recipe. Of course berries had to come into it too and I chose to go with raspberries for their tartness, which compliment bitter grapefruit and buttery cake so beautifully. 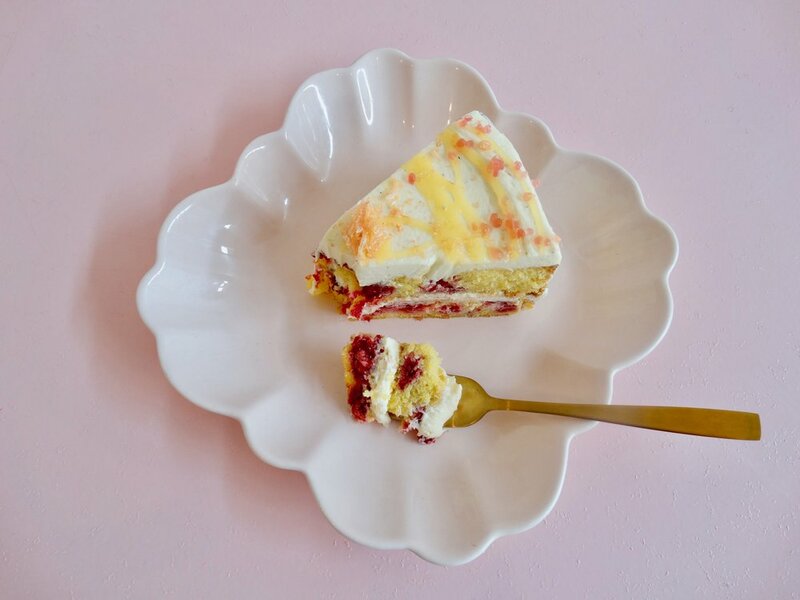 Honestly, this cake tastes just like lollies and I urge you to try it. Preheat oven to 180°C. Line 2 x 22cm tins with baking paper. In the bowl of an electric mixer, cream the butter, sugar and vanilla together until pale, light and fluffy. Mix in the eggs one at a time, scraping down the sides of the bowl as needed. In two parts, add the flour, ground almonds and baking. Mix until just incorporated. Next add the yogurt, gin, grapefruit zest and juice and mix until just incorporated. Be careful not to over mix. Evenly divide the batter between the 2 tins and spread out to the sides. Dot in the raspberries. Bake for approximately 30 minutes, or until golden in colour, springy to the touch and a skewer inserted comes out clean. Meanwhile, make the icing. In the bowl of an electric mixer, beat the butter, icing sugar, gin and vanilla together until pale and fluffy. Gradually beat in the cream cheese until smooth. Finally fold through the zest. Once the cake is fully cooled, neatly ice the the cake and decorate as desired.